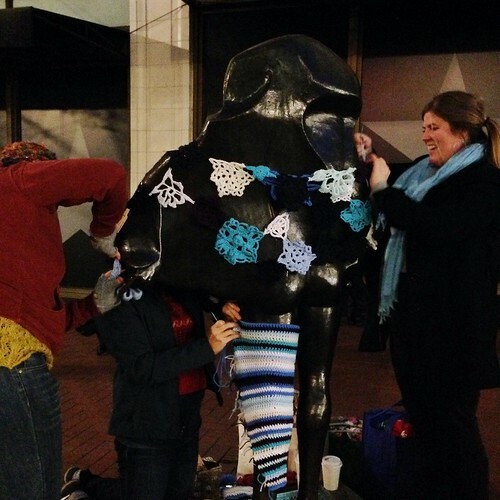 ← Bridge for Blankets: It’s a wrap! 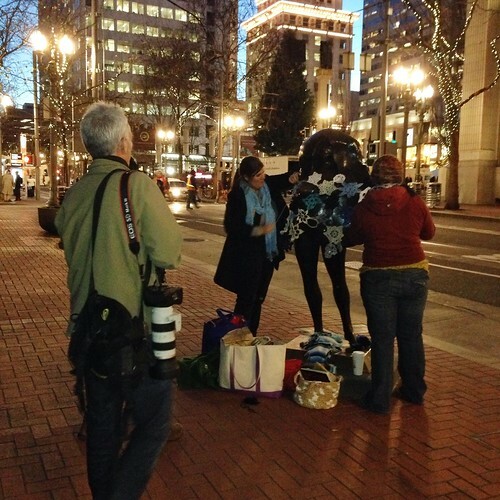 I hustled downtown last night to see the latest installation of Monumental Attire. It was an event! She even has leg warmers! I hope she stays adorned for a while. No time to visit in daylight today. Sorry for the iPhone pix; I’m between cameras right now. I’ll add links later, but look at previous posts if you want to know more about Monumental Attire. 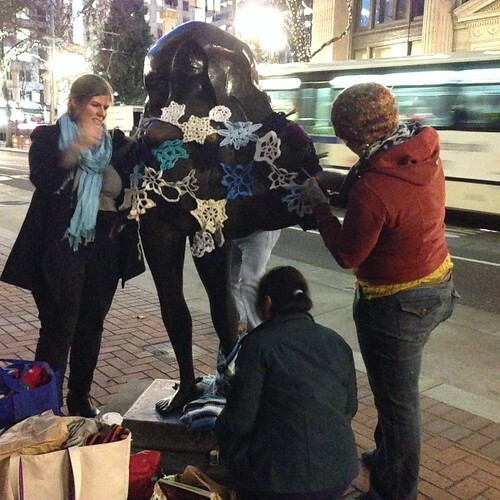 This entry was posted in events, Knit and tagged kvinneakt, monumental attire, portland, yarnbombing. Bookmark the permalink.